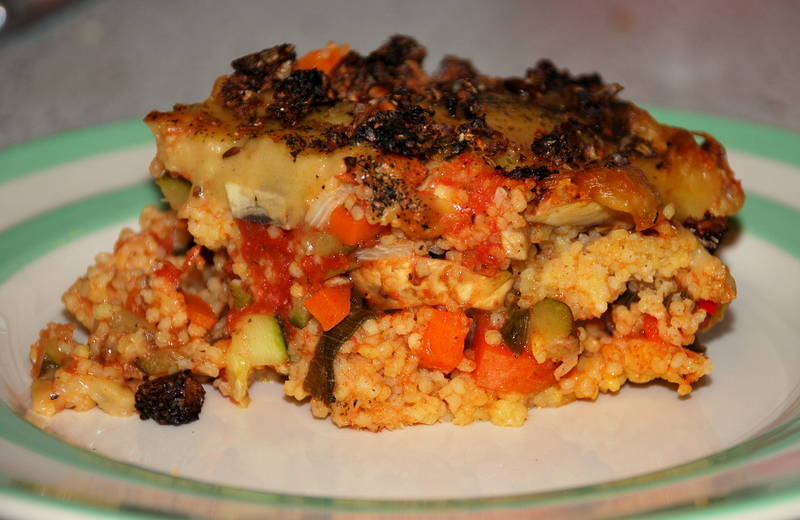 ‘Hirse-Auflauf’ or a Mediterranean approach to millet gratin | vegänsch. Confession #1: I love millet (German: Hirse). Confession #2: I always thought of it as a pretty boring, old-fashioned, difficult-to-prepare cereal grandmas would force their grandchildren to eat cause ‘it’s so good for you’. No, really, I’ve never tried it until a few months ago when I started to eat vegan and found out how much iron it contains (100g provide you with half the amount of iron you need per day). On top, it’s also a good source of plant protein, B-vitamins (no B12 though unfortunately) and beta-carotin. Just make sure to have it with a glass of orange juice, add some lemon juice on top or whatever contains vitamin C, so that your body can absorb the iron easily. Now grab a packet of millet and get cooking – serves three. Start cooking the millet according to package instructions. Meanwhile, cut up the vegetables in small pieces, heat a pan with little oil and fry them. Start with carrots, then bell pepper, then zucchini, onions and then the mushrooms. To shorten the softening process a bit, add some water to the carrots and ‘cook’ them for a few minutes. Add the canned tomatoes, season to taste and set aside. 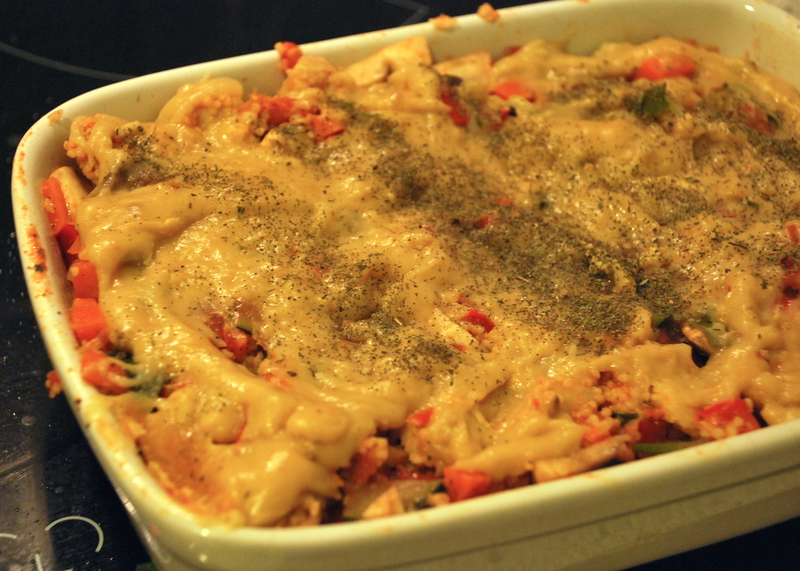 Mix the millet and the vegetable sauce in a casserole and preheat your oven to about 180°C (350 F). Prepare the nutrional yeast ‘cheese’ sauce (Hefeschmelz) by melting the margarine in a little pot or pan. When it’s melted, add the flour and stir with an egg whisk or spoon so that there are no big chunks in it. Pour in the nutritional yeast and water and stir until well combined. Switch off the heat and season with mustard, lemon juice/vinegar, pepper and salt. Now cover your gratin with it and sprinkle some spices and bread crumbs (not on this picture) over it if you like. 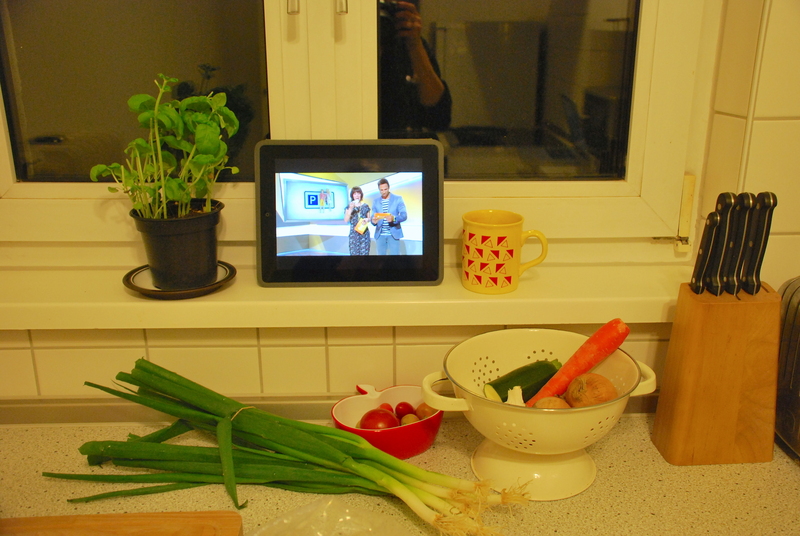 Pingback: THE vegan Lasagna | vegänsch.